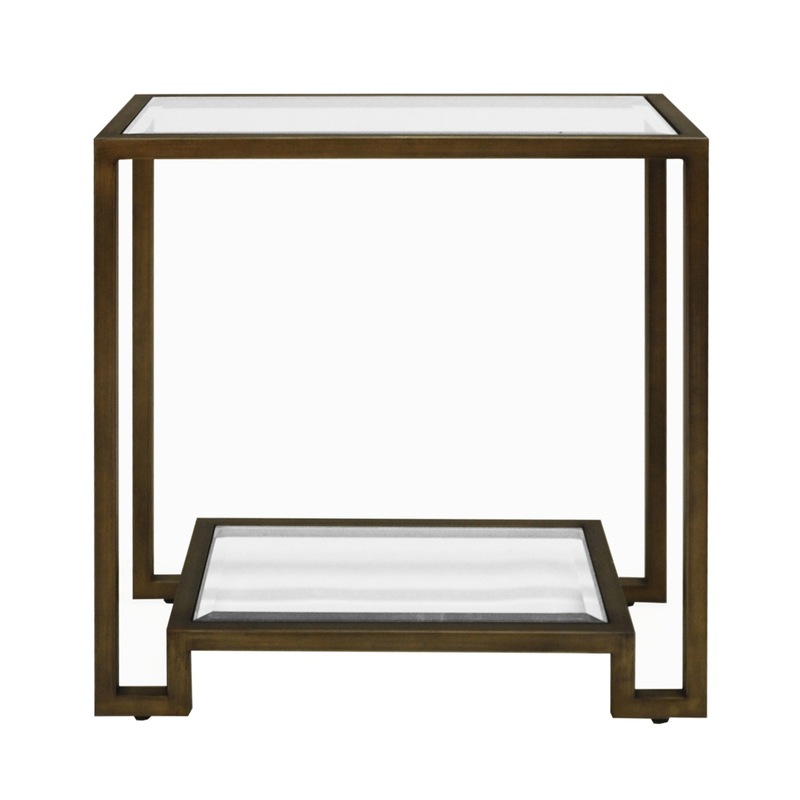 The combination of crisp design with a luxurious metal finish comes together effortlessly to create this rectangular side table. 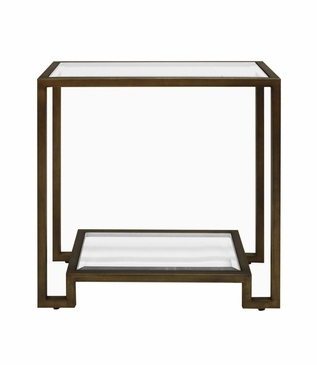 A sturdy, bronze-plated iron frame supports two beveled, clear glass shelves. 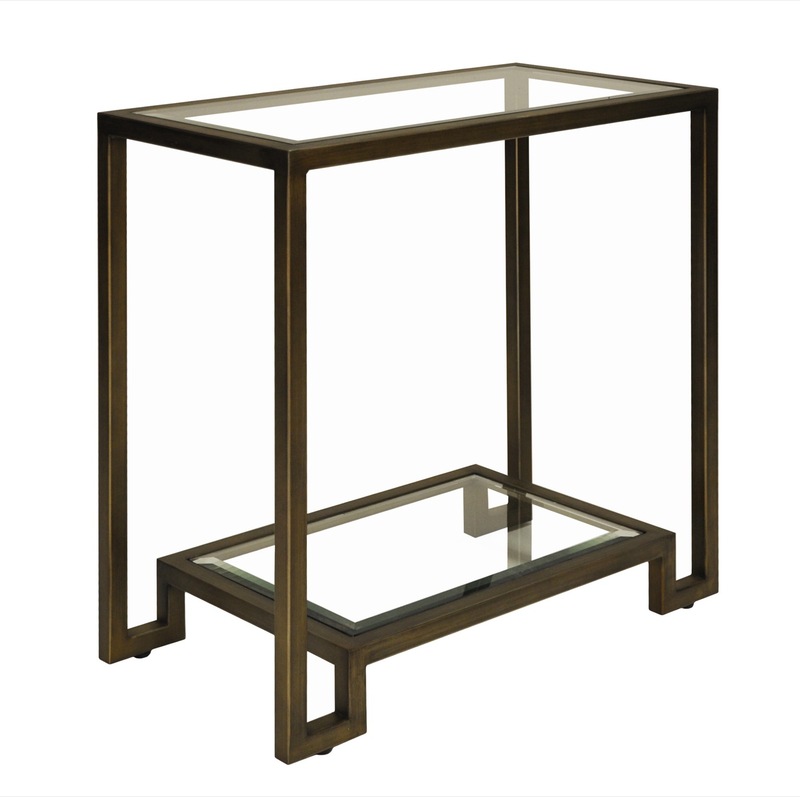 Due to the handcrafted nature of the iron frame, slight finish imperfections should be considered part of the piece's inherent character. Size: H: 26" • W: 26" • D: 14"